‘Credit Cards’ page updated for February 2016 – what are the best deals this month? It’s time for our monthly round up of what is coming and what is going in the world of UK airline and hotel credit card sign-up deals. Our directory of all 25 UK travel credit cards can be found by clicking the ‘Credit Cards’ tab at the top of the site or – for email, Flipboard, Apple News or mobile readers – by clicking here. Rather worryingly, not much. The impact of the new EU interchange fee rules appears to have led to the whole industry sitting on their hands whilst they decide how to react. And that, I’m afraid, is it. Here is a summary of what I consider to be the best deals available at the moment. What are the best travel credit card deals at the moment? If you are looking to apply for a new credit or charge card, here are my top recommendations based on the current sign-up bonus. The BA, Lloyds and Tesco offers are special deals whilst the Amex Gold and Hilton cards are consistently strong offers. The sign-up bonus on this card is 30,000 American Express Membership Rewards points. Your points can be transferred into various airline and hotel programmes. You could get 30,000 Avios, 30,000 Virgin miles, 60,000 Hilton points, 90,000 Carlson points, 2,000 Eurostar Frequent Traveller points etc etc. You receive a pro-rata refund on the £450 fee when you cancel the card and you will retain most of the benefits – Starwood Gold, Carlson Gold, Accor Platinum, Hilton Gold, Melia Gold and Shangri-La Jade – for the rest of the year even after you cancel. The Amex Platinum benefits package is extensive, though, and once you’ve got it you might find the numbers add up for you. I have had one for 15 years. My full review of the Amex Platinum card is here – this also includes details of the additional refer a friend bonus. Amex’s own home page is here. This is currently an outstanding deal which is showing no signs of going away. You pay no fee for the first year and earn 20,000 Membership Rewards points (see here for what 20,000 MR points can get you – 20,000 Avios points for a start!). My full review of Amex Gold is here. The Amex home page is here. The sign-up bonus on the fee-paying British Airways card is currently 25,000 Avios until Wednesday 10th February 2016 compared to the usual offer of 19,000 Avios. The bonus on the free card has been tripled from 3,000 Avios to 9,000 Avios. Read my review of British Airways Premium Plus here and my review of the free British Airways Amex here to decide which is best for you. Move quickly if you want to jump on this. This card is less useful than it was following the halving of the earning rate in December. However, it remains the most generous non-Amex card unless you meet the strict criteria for HSBC Premier. Some comparison sites are currently offering a 1,000 point bonus with this card as I wrote here. 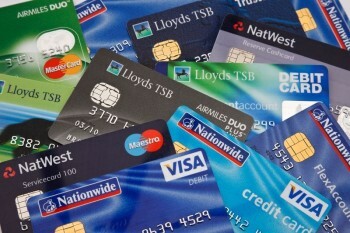 My full review of the Tesco Clubcard MasterCard credit card can be found here. The representative APR is 18.9% variable. You receive a free night in any Hilton Group property for spending £750 on this card. That could be worth £250 if spent wisely at a Conrad or Waldorf-Astoria branded property. My full review of the UK Hilton credit card is here. The home page is here. This remains my favourite promotion for someone new to this hobby. The card is free, you only need to spend a modest amount to trigger the bonus, and you can enjoy a free night in a luxury hotel afterwards (if you pick a decent one!). It will whet your appetite for what miles and points can bring you. The representative APR is 18.9% variable. I have become more keen on this card over the last year. The Avios devaluation last April increased the value of the upgrade voucher. With no other cards following its lead of dropping foreign transaction fees, it remains a good choice for spending abroad. Representative APR 23.7% variable including the £24 fee based on a notional £1200 credit limit. More importantly, with most Visa and MasterCard cards looking unexciting these days (eg Tesco cutting its earning rate by 50%), the ability to use MasterCard spend on the Lloyds card to count towards your upgrade voucher is valuable. My full review of the card is here. Until 31st March, the refer-a-friend bonus is increased from 4,500 Avios to 5,500 Avios for both of you. Head for Points focusses primarily on personal cards. However, if you are a sole trader or run a very small business, you may also want to check out the American Express Platinum Business Card and the American Express Gold Business Card. There is currently a 20,000 points (= 20,000 Avios) bonus on the Gold Business card and a 40,000 points (40,000 Avios) bonus on the Platinum Business card. Depends on the chain. Starwood and Hilton have smartphone virtual cards so you don’t need a plastic one anyway. Starwood sends one on request but only on request. Accor has always sent me a plastic card. Thank you, what about IHG do I get a card? I have IHG £100 Barclaycard, I have booked IC NY TS (before I got card but think I don’t get anything from IC anyway from what I read here?) & need to book a few nights at double tree, so looking at upgrading my Amex gold to Plat, so I should get something when I book doubletree is that a good option? As to your previous comment about Lloyds card, i still have the old style Lloyds duo card. You question seemed curious; are they not meant to exist anymore? They exist, but are no longer being issued to new cardholders. I’m not sure why you wouldn’t want to upgrade anyway and get better benefits. Haven’t used it in a while, due to double and triple points on Amex gold. Hit the spending target for the bonus and am looking to get the 20000 MR on upgrade to Platinum (via target email). As its just passed my free fee year, do I need to wait for the gold fee to kick in before upgrading to get the bonus 7500 MR from gold? Will look into upgrade on Lloyds as i did not know about add benefits til now thanks to you. I’m keeping my Amex gold card to get the 10,000 points for spending £10k in a year; if I upgrade to platinum for the 20,000 points I assume I will forfeit the 10,000 bonus? If I were to wait for the renewal to get the 10,000 points and pay the £140 and then upgrade would I pay the full fee of the Amex Platinum or would the £140 be subtracted? The £140 fee would be refunded pro-rata for the part year used. The Platinum fee would then be charged in full for the forthcoming year from the date of upgrade. 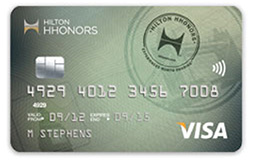 I’m thinking about cancelling my Tesco Credit Card because I don’t use it anymore and have switched over to the Hilton hhonors visa card whenever Amex isn’t accepted. Is there any worth/benefits in keeping the Tesco card if it’s not being used sitting in a drawer? I would like to have have one less credit card on file in my credit score. Bear in mind though that it can be worthwhile for your credit score having non-fee credit cards at low/nil balances as it decreased your credit utilisation. Yup sure, but its credit limit also contributes to my maximum low-term debt. Just not sure which has more impact on the credit score, credit utilisation or low-term debt amount.